For many, wallpaper translates into outdated or passé decoration. 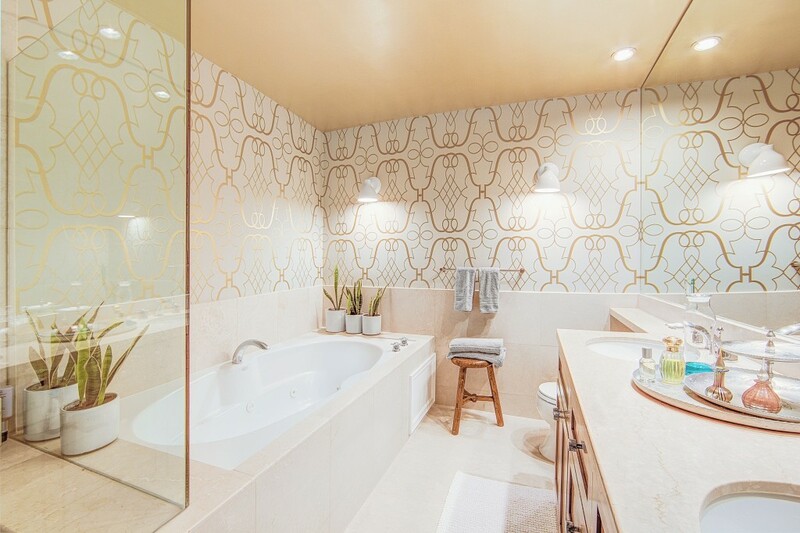 However, we can put that to bed right now because wallpaper is back in the spotlight with fresh innovative designs and finishes to entice even those who swore they would never touch it again. The great thing about wallpaper is that it is so versatile and enables you to put texture on the wall. Young people and techies find themselves falling in love with wall murals – a blown up photo of a landscape or masterpiece painting. Others may want to spruce up their living room or bedroom without too much commitment by installing an accent wall behind their headboard or around the fireplace. Nowadays, wallpaper boasts stunning patterns that include chevrons, hexagons, or the classic Greek key. You can also find natural materials and textiles that simulate wood panels or concrete slabs, to name a few. Some savvy decorators are opting for unique textures such as leather, flocks (embossed or raised), and the foil paper from the 60′s. How Long Can Wood Last? © 2019 Grand Finishes All Rights Reserved.